SiFu Ray, SiSok David and SiSok Allan would like to thank SiFu Carson Lau for the intensive Wing Tsun training from October 4th to 7th. 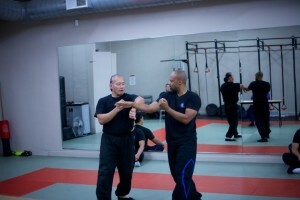 Day 1: SiSok David took a private lesson with SiFu Lau to review his Chi Sau Sections 4 to 6 forms, learn Chi Sau Section 7, and go through Chi Sau Sections 4 to 6 applications. 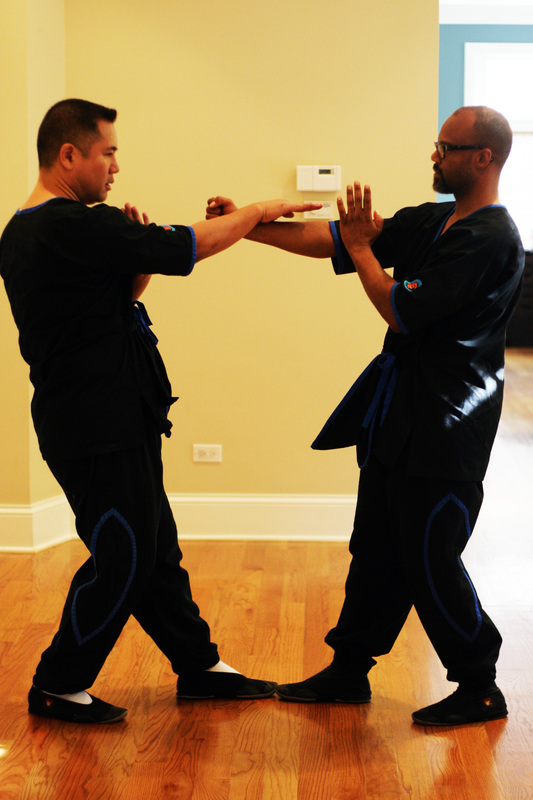 Day 2: SiFu Ray took a private lesson with SiFu Lau on the form, principles and application of Wooden Dummy Chi Sau Sections 4 to 8. 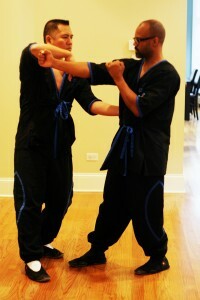 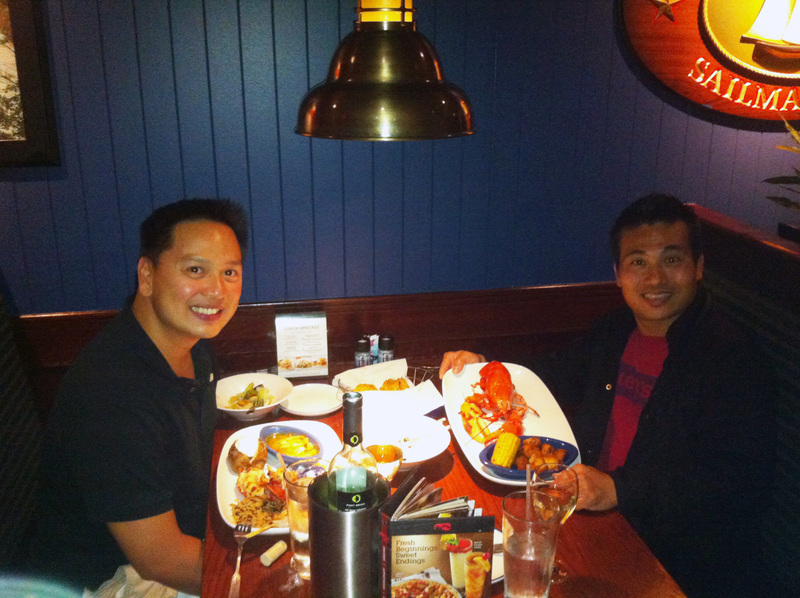 “Thank you to SiFu Lau for his recent visit to Chicago. 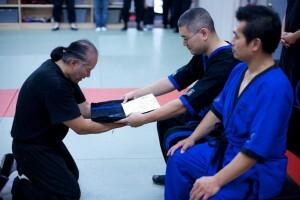 I am grateful to learn the remaining Wooden Dummy sections. 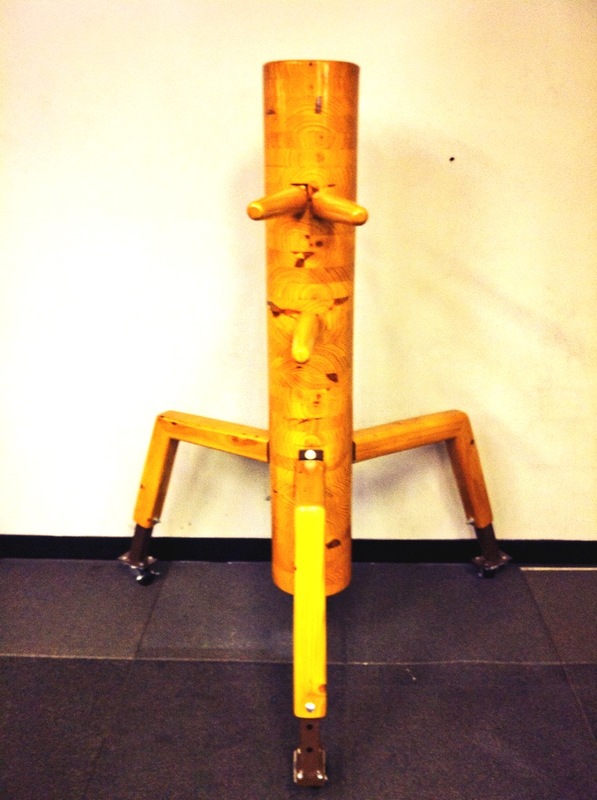 The wooden dummy section training was a full body workout! 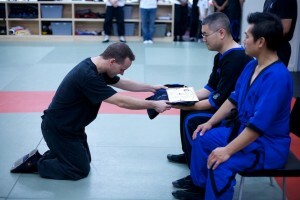 Grueling, but very rewarding! The Wooden Dummy 7th Section was a killer! 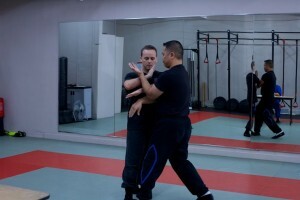 After years of hard work and perseverance, I have finally completed the empty hand system. 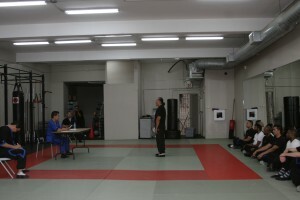 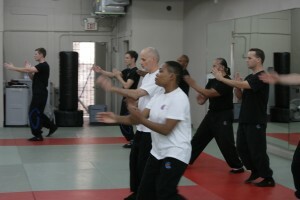 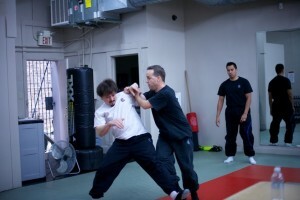 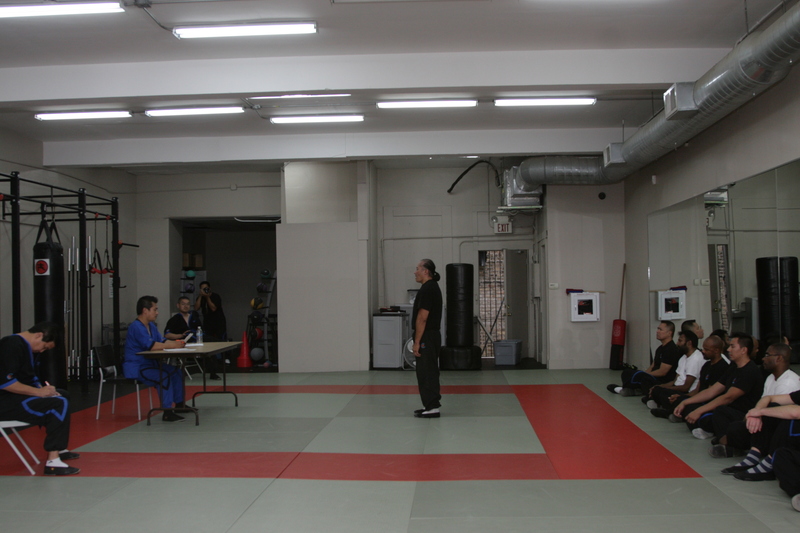 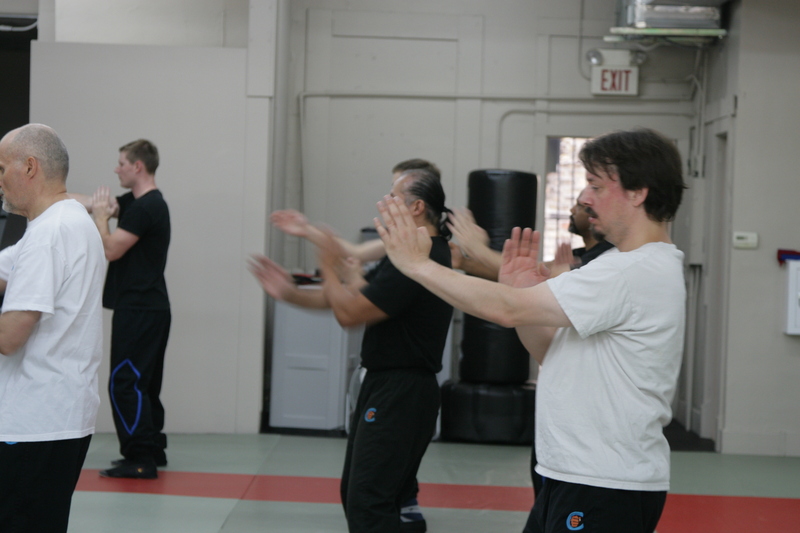 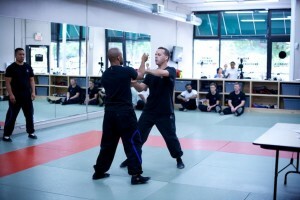 The next day, SiFu Lau’s seminar was a great review of 3rd through 5th Chi Sau Sections. 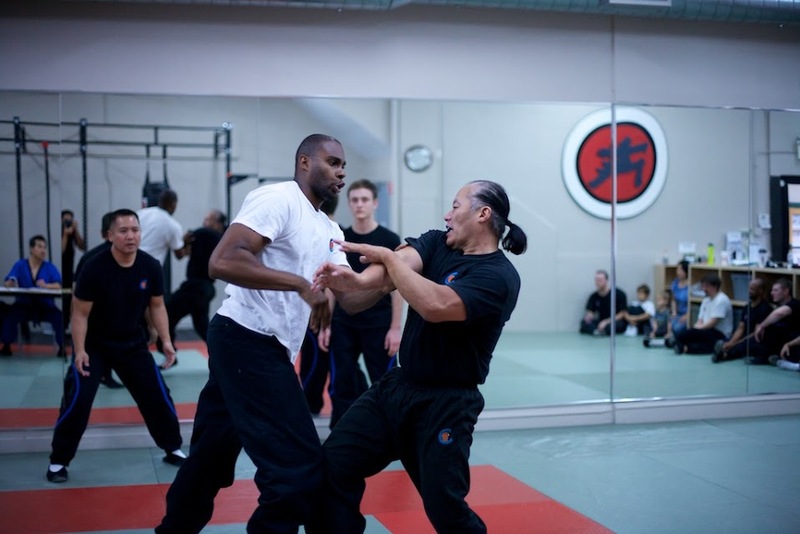 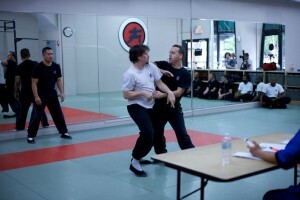 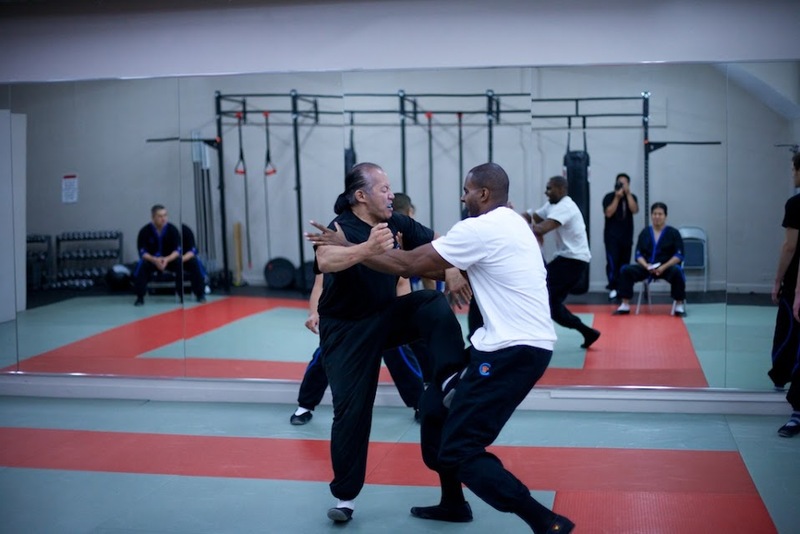 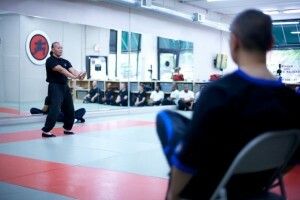 There is always something to learn each time SiFu Lau comes to Chicago. 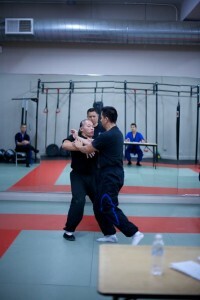 Proficiency with 3rd Section Chi Sau applications is essential for free fighting! 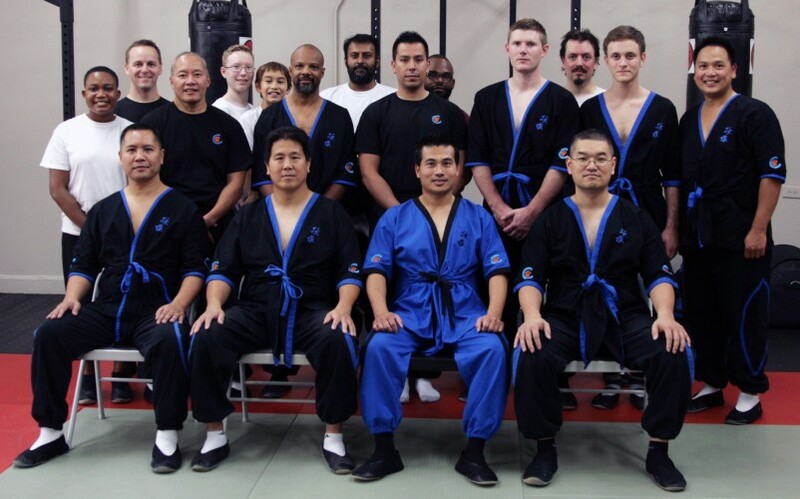 Day 3: SiFu Ray, SiSok David and SiSok Allan attended the group seminar at the CWTA Evanston Branch where SiFu Lau taught Chi Sau Section 3 applications, circle step footwork applications, and heavy bag chain punch drills. 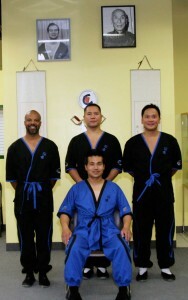 After the seminar, they helped during the 1st TG testing of Rob Meyer and Bill Ng. 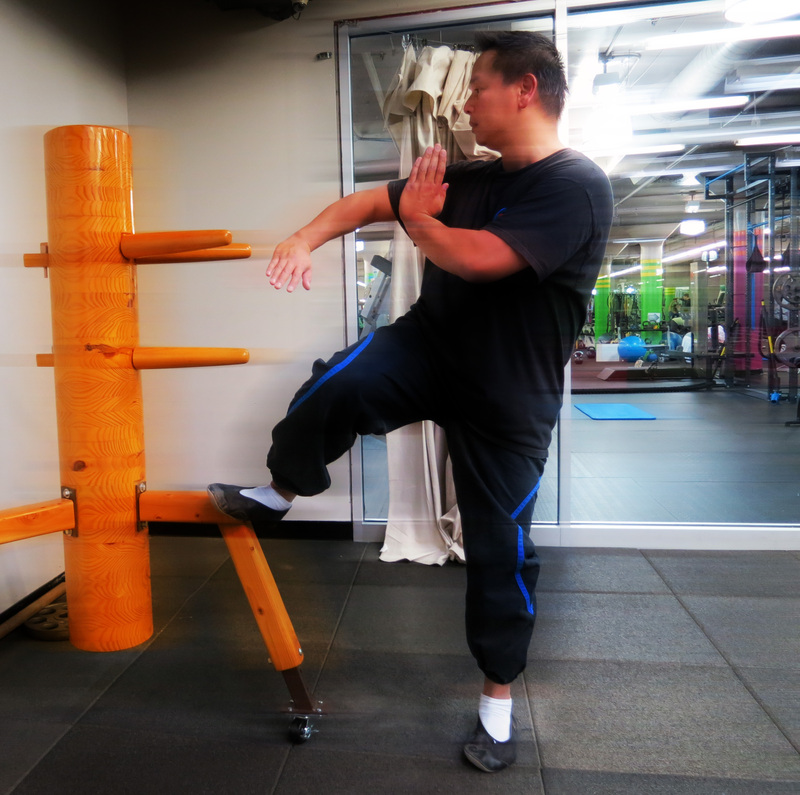 Day 4: SiSok Allan took a private lesson with SiFu Lau on the entire wooden dummy form. 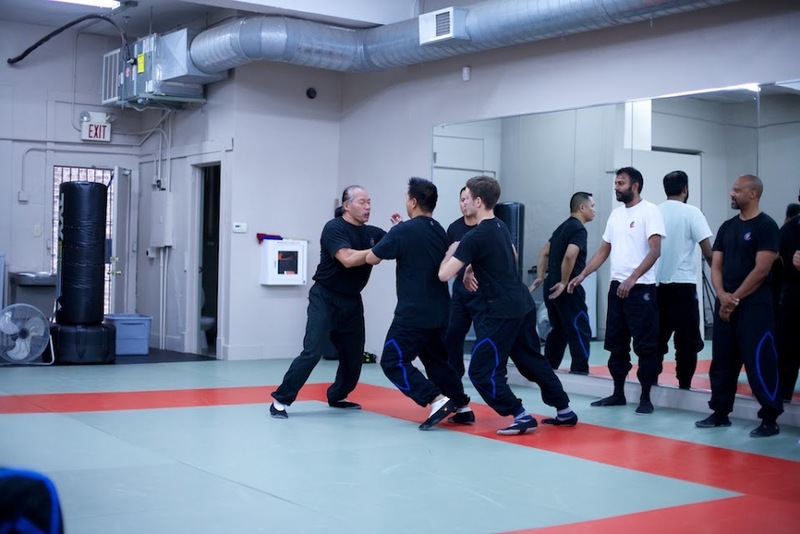 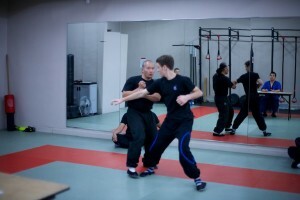 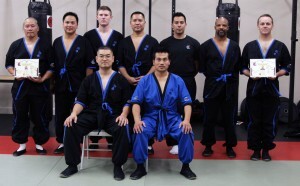 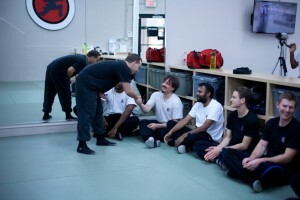 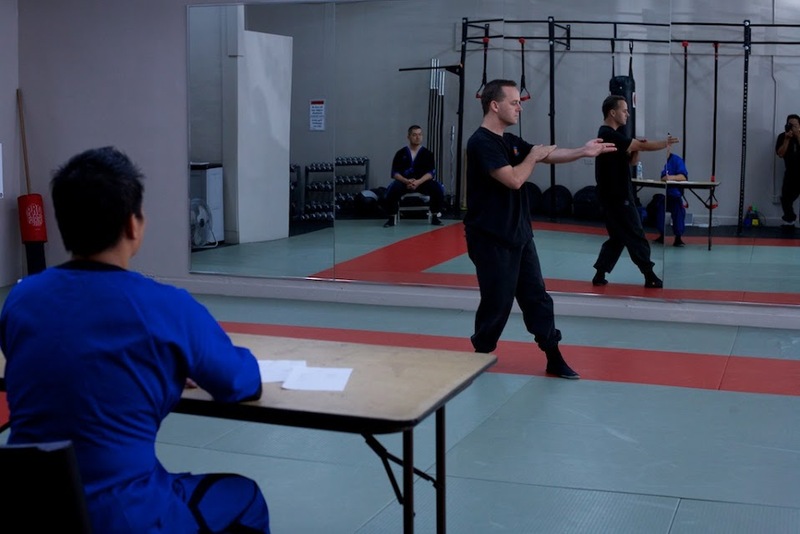 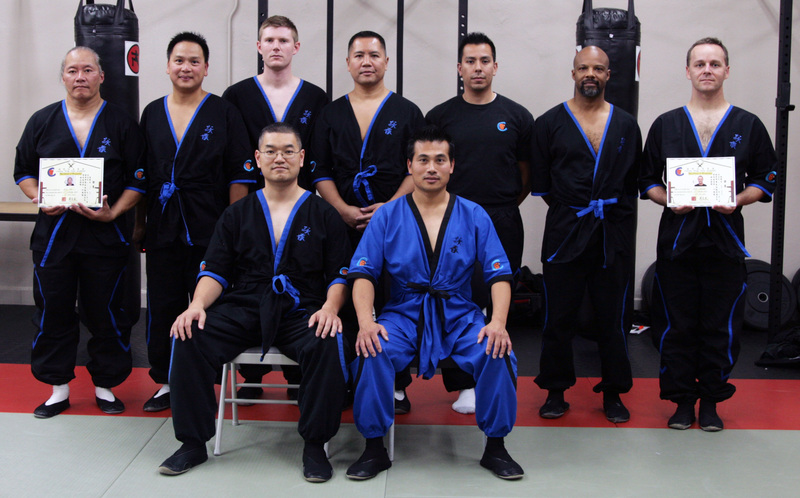 Later that night, SiSok Allan attended the group training given by SiFu Lau at the CWTA Northfield Branch, where they worked on the application of Chi Sau Section 2 and the chasing program of Chi Sau Section 1. 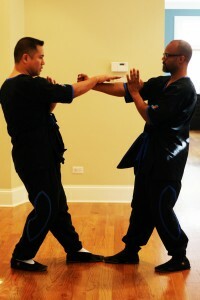 “I would like to thank SiFu Lau for teaching me all 116 movements of the Wooden Dummy form during his visit to Chicago. 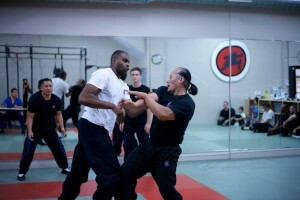 The focus of my training was on properly executing the movements and its sequence. 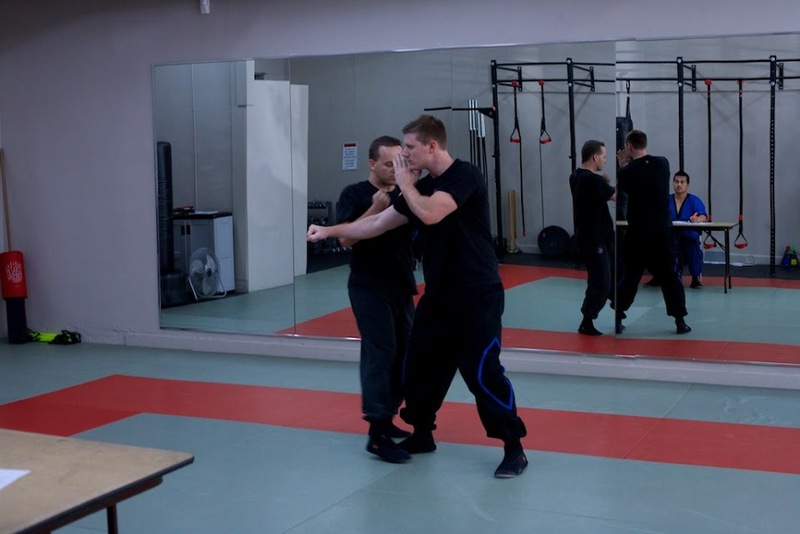 Not only were the wooden dummy movements physically challenging, I also needed to concentrate on associating these movements to a specific count (i.e. 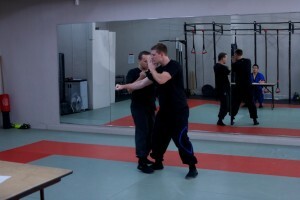 Chai Sut Gerk is step 50). 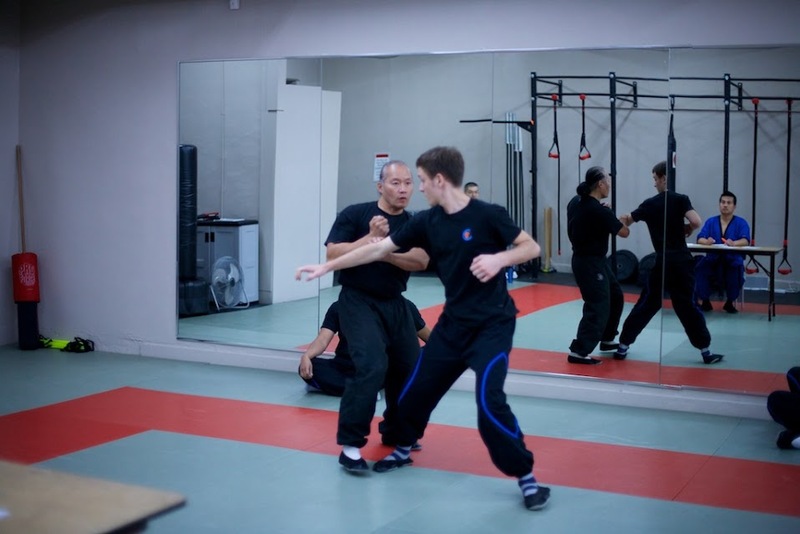 Once I can perform the movements properly and in the correct sequence, Sifu Lau will go through the theory/principle(s) of each movement and then train me on how to generate both power and speed. 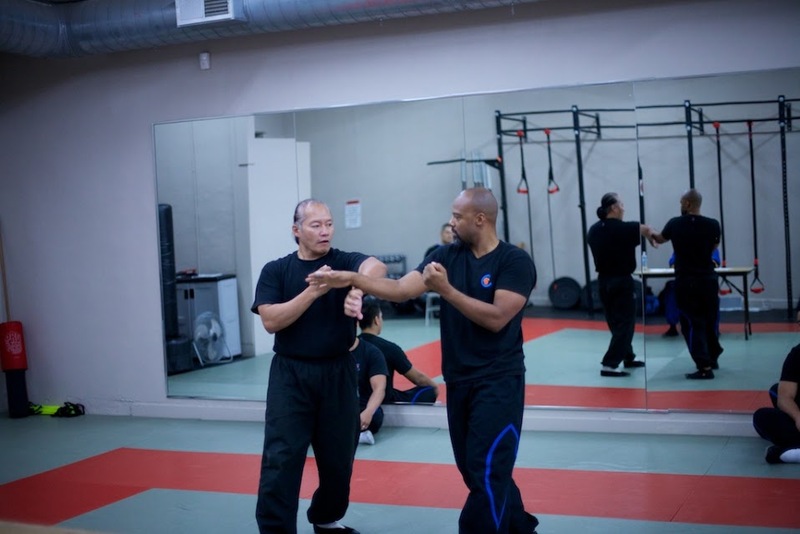 Not only is learning the Wooden Dummy form a significant milestone in my Wing Tsun journey, I am very fortunate to learn it from SiFu Lau who is one of the highest ranking Wing Tsun Practitioner in the world . SiFu Ray, SiSok David and SiSok Allan went to CWTA Toronto HQ on 16Aug2013 to attend the annual CWTA Barbeque, take private lessons with SiFu Carson Lau, and train with our SiHings and SiDais during the Black Shirt Class. 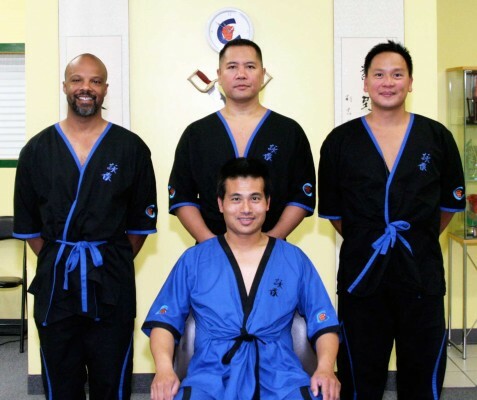 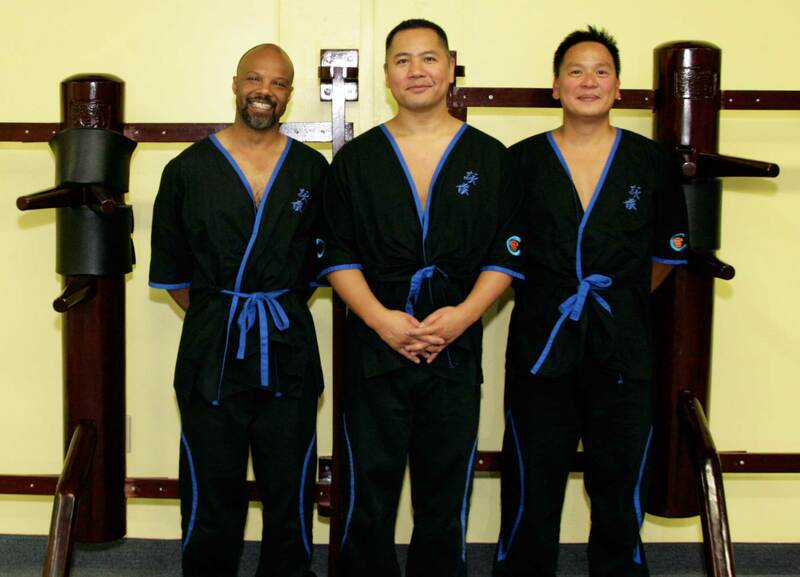 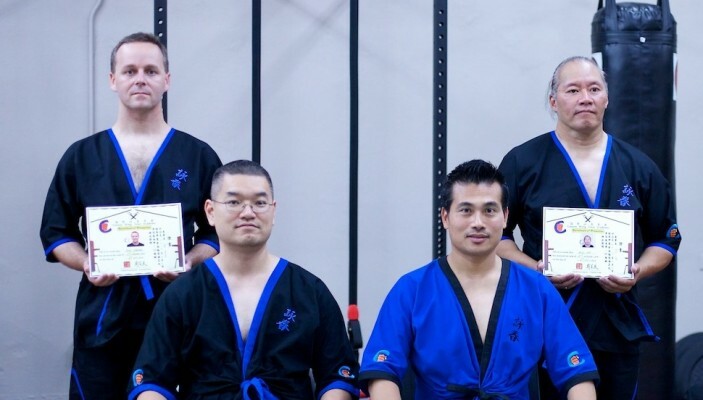 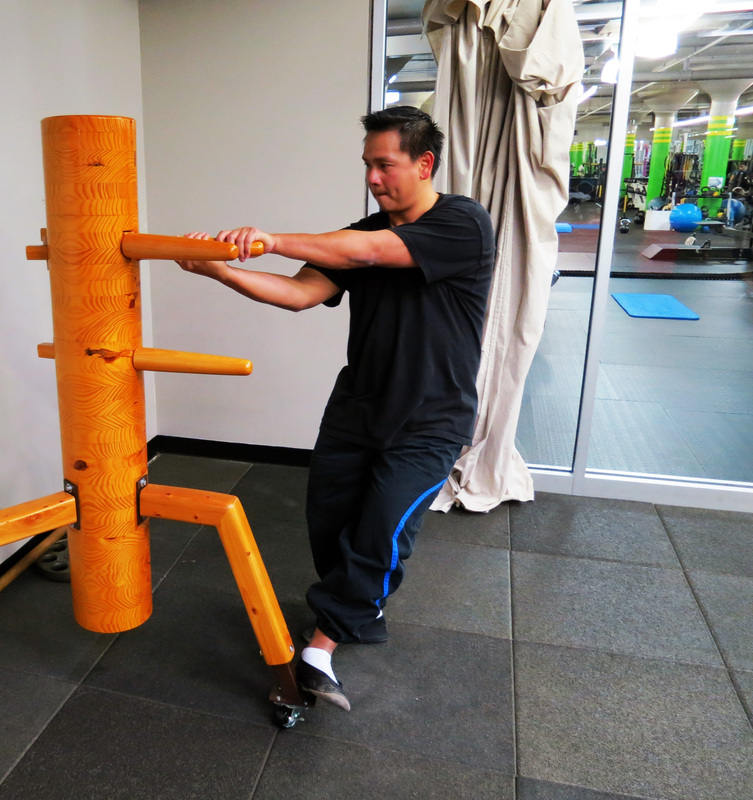 SiFu Carson Lau reviewed SiFu Ray’s Wooden Dummy form and had him perform it the first time with precise movements, a second time with precision and power, and a third time with precision, power and speed. SiFu Carson Lau then instructed SiFu Ray on the first and second sections of the Wooden Dummy Chi Sau form. 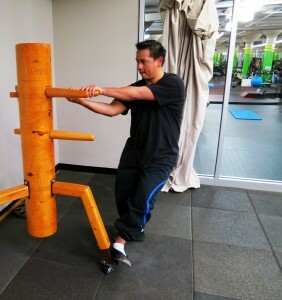 SiFu Carson Lau reviewed SiSok Allan’s Biu Tze form, and then had him warm-up on the Wooden Dummy using double Gaun Sau, Kwun Sau, and Jark Pak Man Sau. 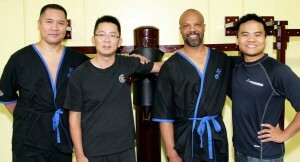 SiFu Carson Lau then instructed SiSok Allan on the first, second and third sections of the Wooden Dummy Form. SiFu Ray, SiSok David and SiSok Allan attended the Black Shirt class where they had several rounds of Lat Sau followed by the intensive workout lead by SiFu Carson Lau. 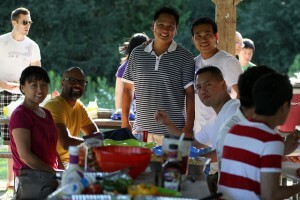 The following day, SiFu Ray, SiSok David and SiSok Allan attended the Annual CWTA Toronto HQ Barbeque at the Bruce’s Mill Conservatory Park. 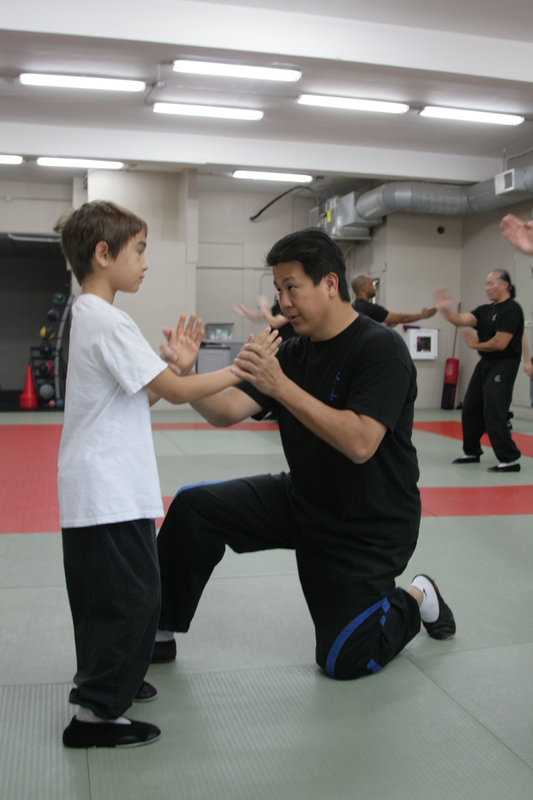 We would like to thank SiFu Lau for his continued support of Wing Tsun Kwoon and we also want to thank all of the students at CWTA HQ for a great weekend of Wing Tsun training and family fun! We apologize for not updating our blog for a long time. 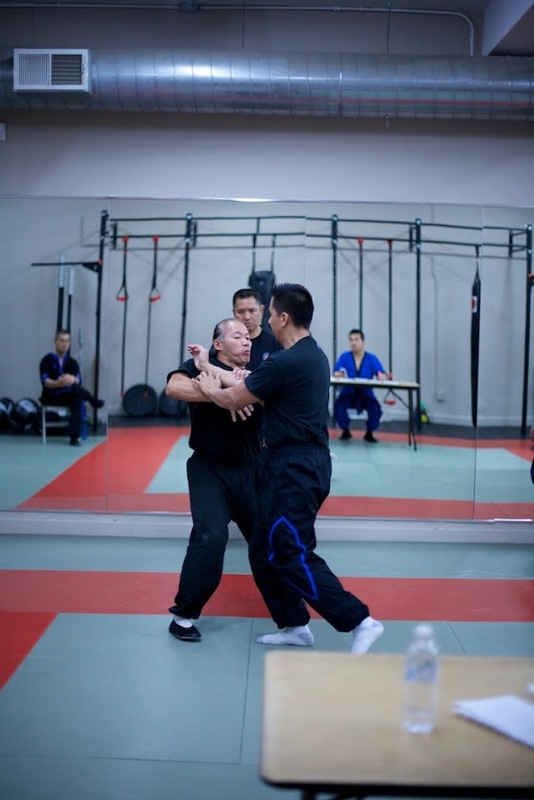 There have been a lot of activities and events at Wing Tsun Kwoon during the past 4 months. 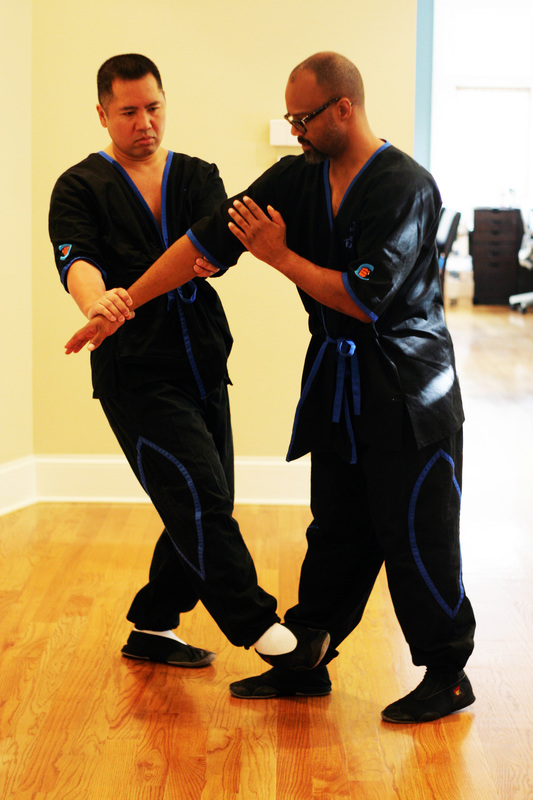 We have created multiple articles on these and will be posting them during the next few days. 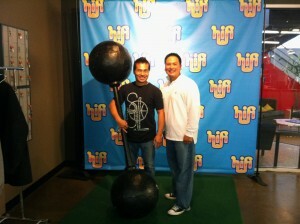 So let’s start off with an update regarding our new location at HiFi Fitness (www.hififitness.com ). HiFi Personal Fitness is the largest personal training studio in the country. 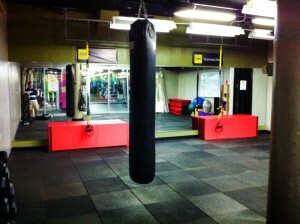 With over 30,000 sq.ft. 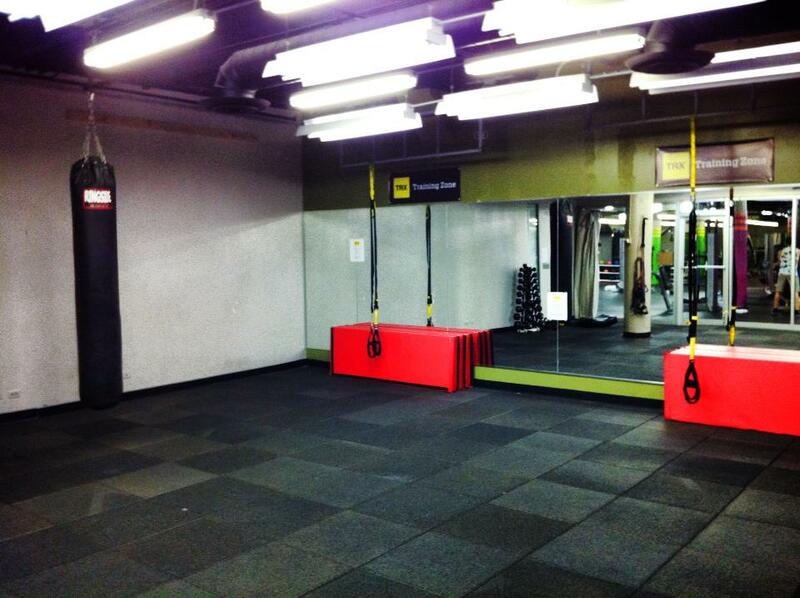 of space dedicated only to personal training and small group fitness. 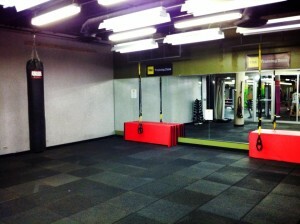 HiFi Fitness has the most cutting edge equipment available (Technogym, Freemotion, TRX and Powerplate) alongside old favorites like Kettlebells, Battling ropes, Sledge-hammers and Monkey Bars. HiFi Fitness has two private studios available for group classes as well as a full array of Cardio equipment. 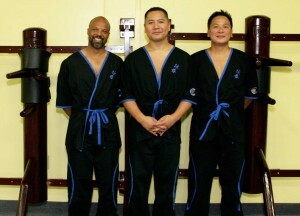 They have all of the ammenities of a healthclub without the expensive monthly membership fees. 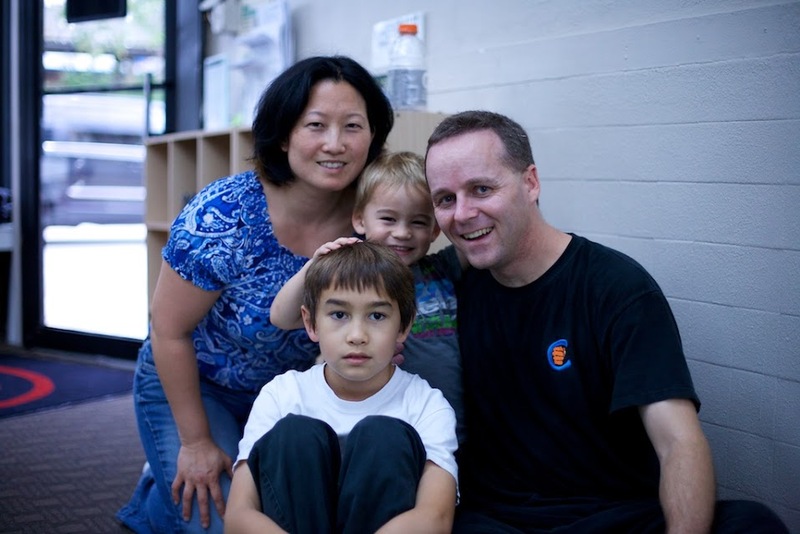 We have been at our new space for 4 months now and we really enjoy holding classes at HiFi Fitness. 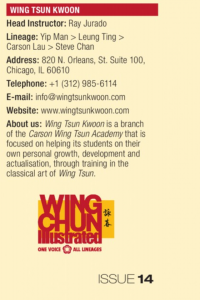 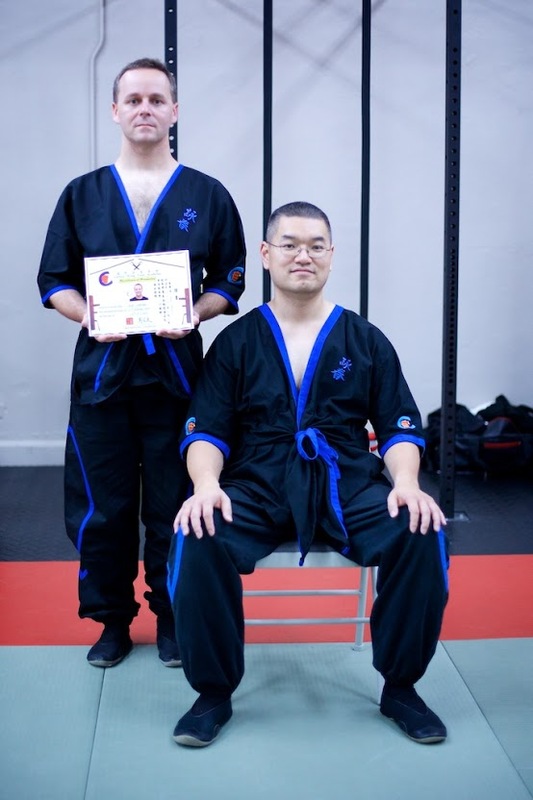 The owners and staff are very accommodating and are genuinely there to support us in growing Wing Tsun Kwoon. 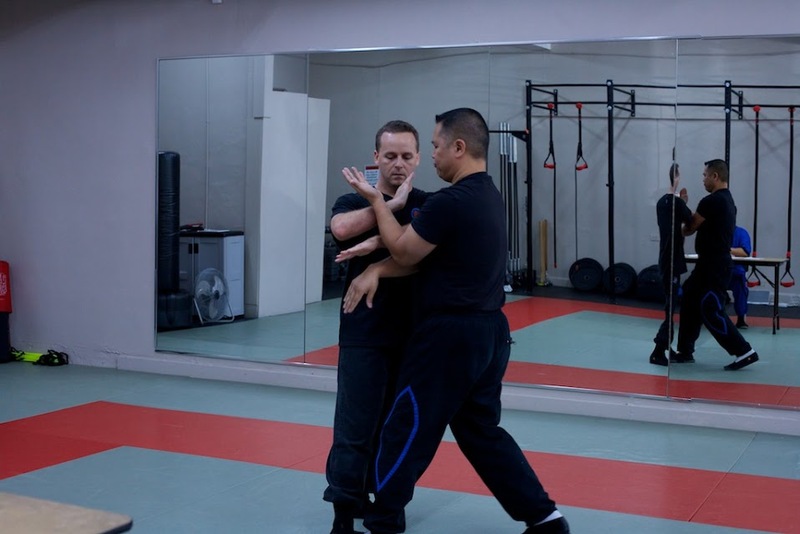 The HiFi Staff installed both our Wing Tsun wall bags and was as excited as we were in having a Wing Tsun wooden dummy at the space. 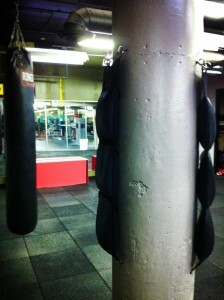 In addition, they also gave us storage space for all of our focus mitts, kick shields, and gloves. 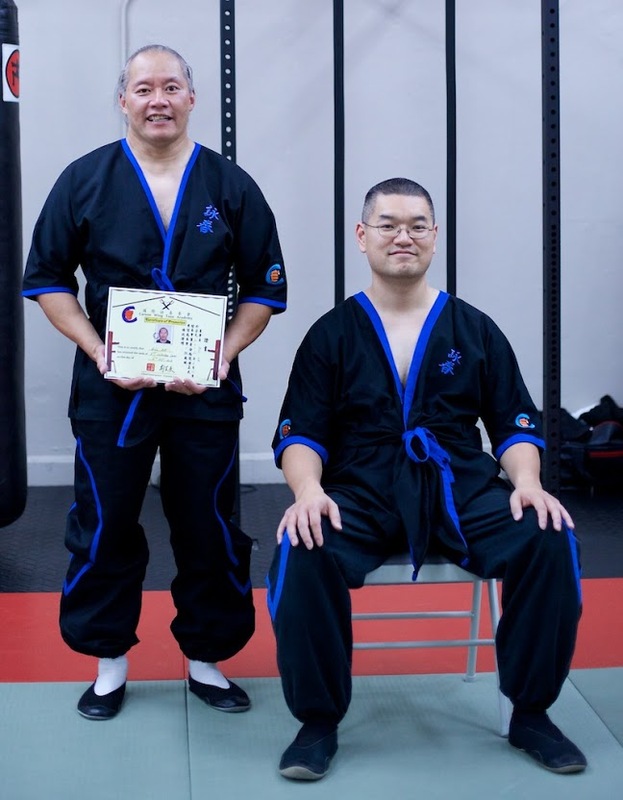 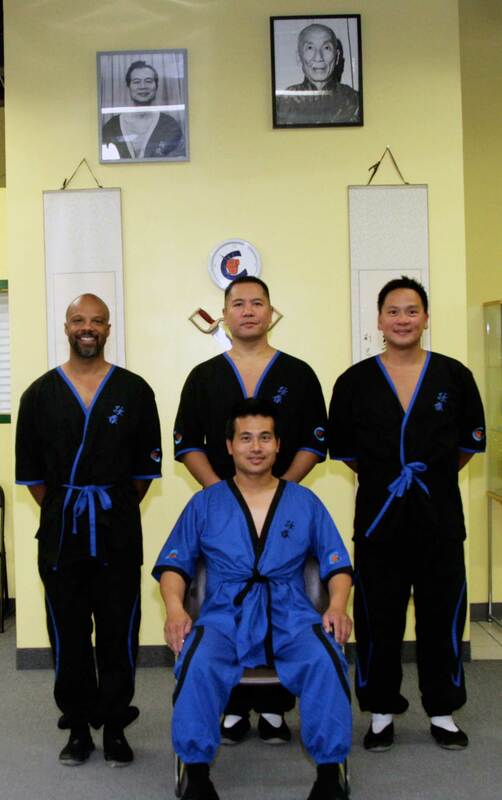 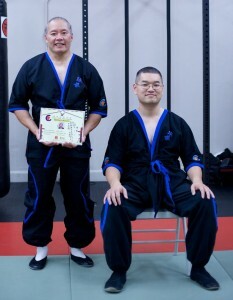 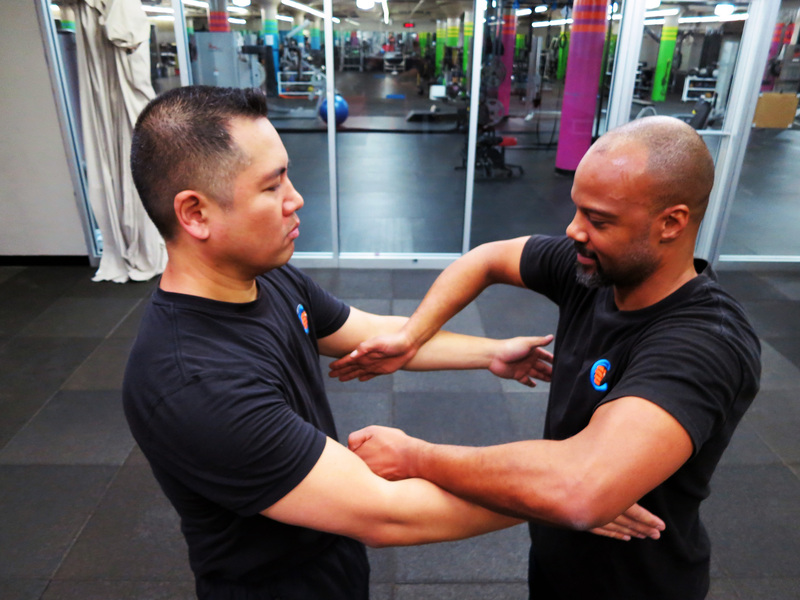 We want to thank the owners and staff of HiFi Fitness for their support of Wing Tsun Kwoon. 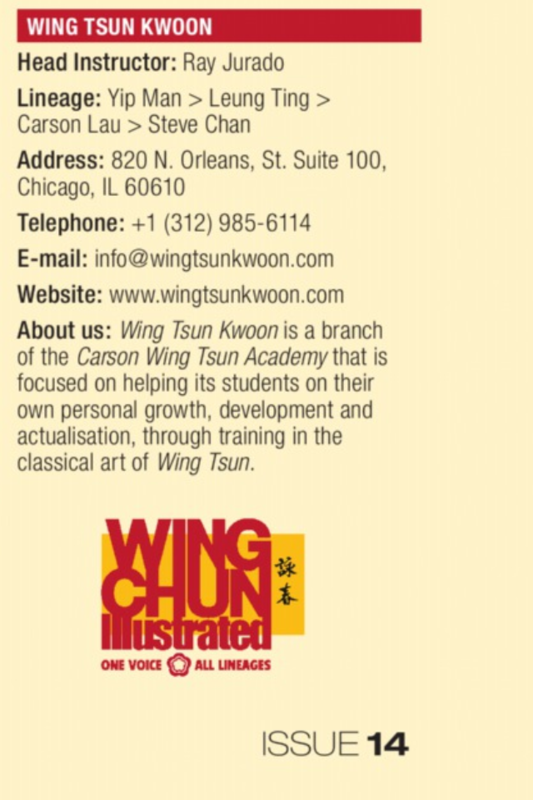 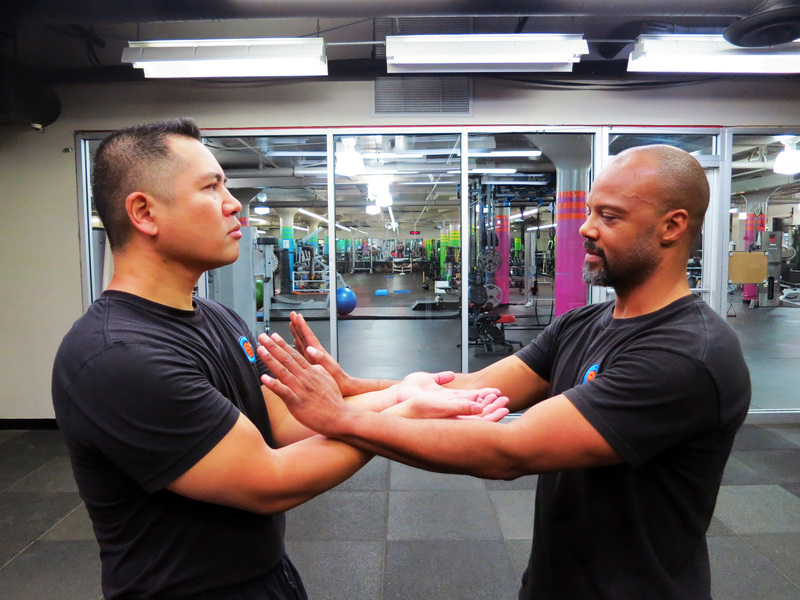 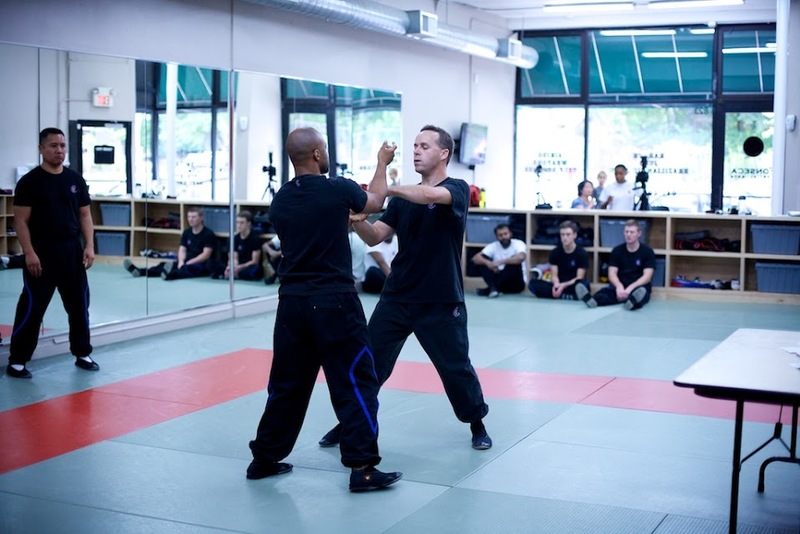 Now that we are settled in at our new space, we invite everyone interested in learning Wing Tsun at our new location inside HiFi Fitness at 820 N. Orleans St. Suite 100, Chicago, IL 60610. 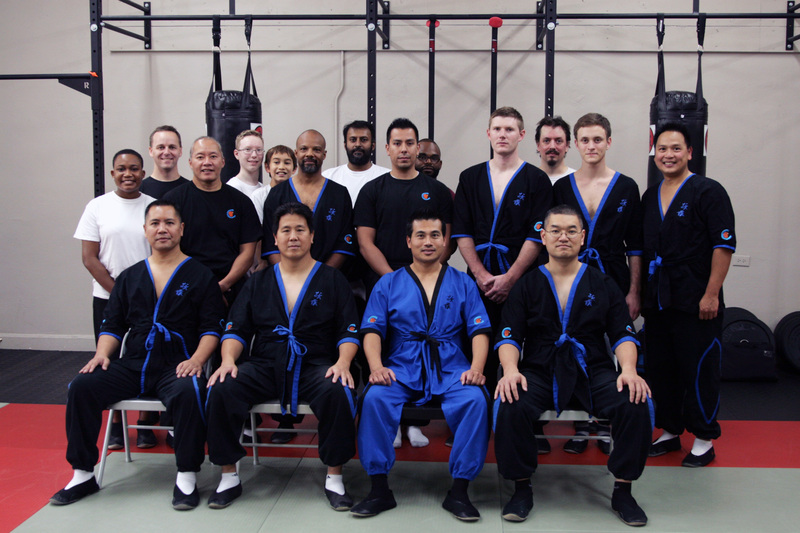 We look forward to seeing you in class!